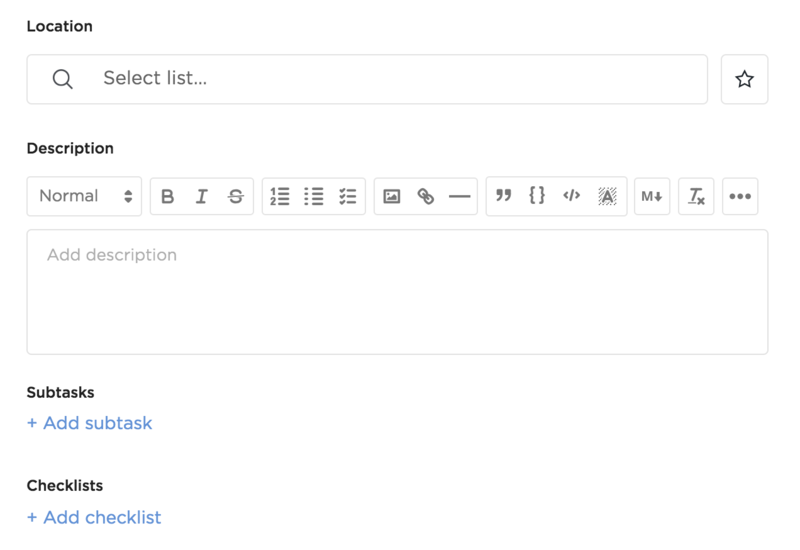 Creating a task in ClickUp is simple. 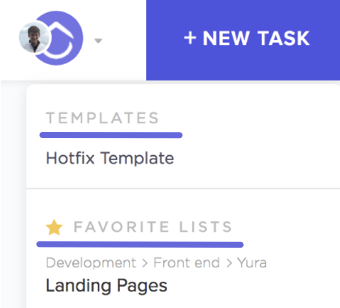 You can create new tasks from scratch or save yourself time by using task templates! Just click the + New Task symbol in the upper right corner of your screen to start from a template, favorite, or clean slate! 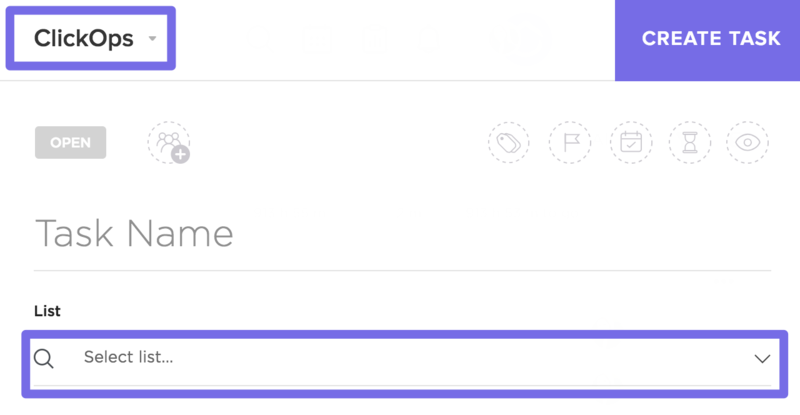 Select the Space, List, and Project that your task will be located in by clicking on the drop-down menu below the task title. Set this task to recur! Recurring tasks repeat on a schedule or a trigger. Once you've created the task, you can make it recur at specific intervals by clicking the loop symbol in the upper right section of your task. Need to save an incomplete task draft for later? Just click > to the left of your task to minimize it for later.